Ready for bike valet? Contact Bike East Bay for a custom quote! Want more people biking to your event? Provide bike valet! Secure bike parking promotes a healthy and sustainable way of getting to your event. More people on bikes can mean less traffic congestion, alleviating demand for car parking and reducing your event’s carbon footprint. 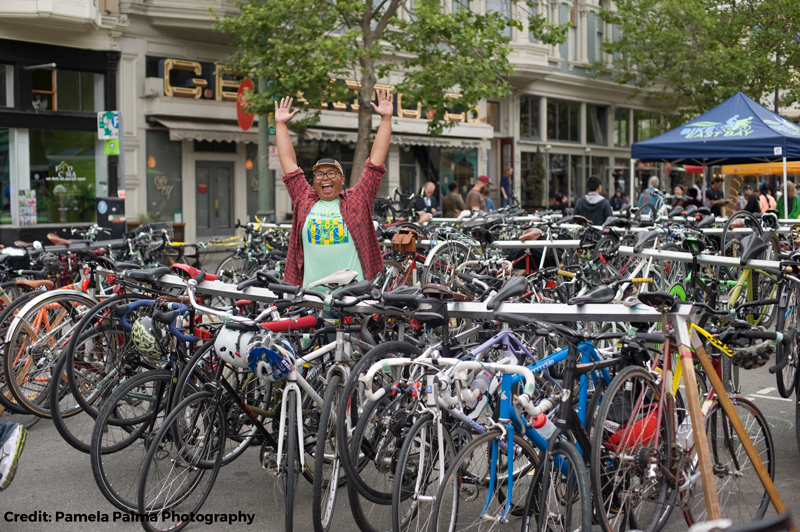 Please direct any questions you may have to Bike East Bay’s Valet Bike Parking Coordinator Victor Evans. Can’t see the form? Here’s a direct link.